Matt Bywater and his dad came out to fish with me again today. On their last trip in June, Matt's dad caught the big brown, but today it was Matt who had all the brown trout action catching nice ones! 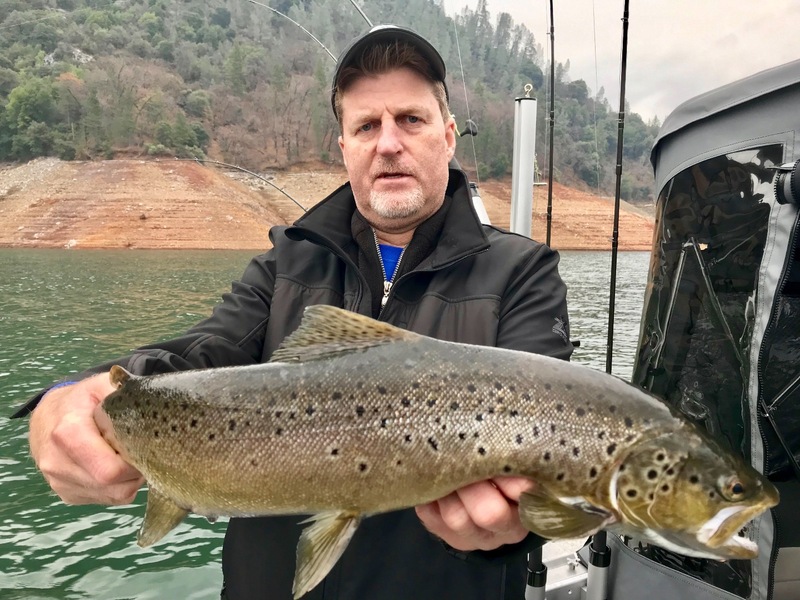 Today we fished Shasta Lake again with the Bywaters looking for a few big bites, specifically brown trout. 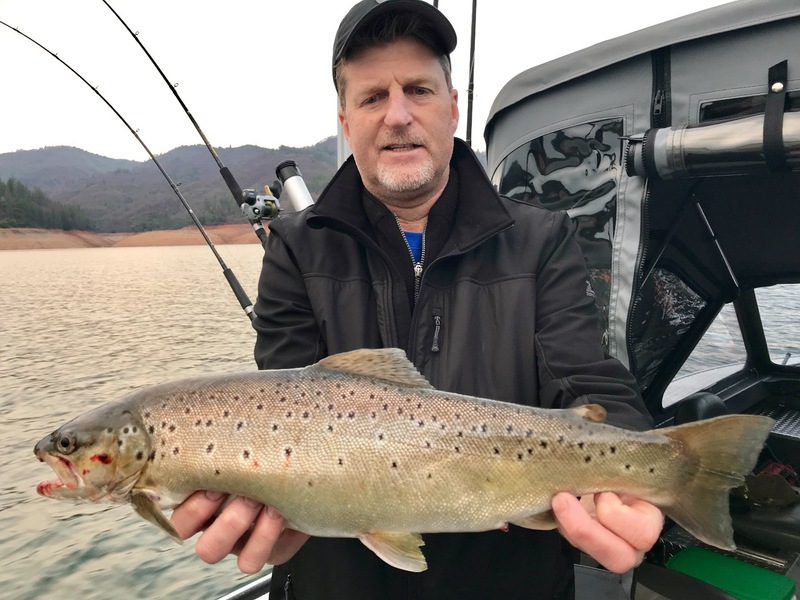 Its been hit and miss for most on Shasta Lake recently, but we've managed to find some quality fish which have mostly been in the 3-4 lb range, with a few in the 6 lb. class. Big rainbows are hard to come by, but thats normal for this time of the year. We're trolling the surface for most of our bites, but others are finding a few fish down to the 20' ft. mark. We finally have a wet weather pattern arriving and I'm hoping its puts some fresh water into the tributaries of the lake and we start to see a rise in lake levels soon. Its been sitting at 100' ft. below full pool for quite a while now so it would be nice to see. Surface temps are slowly dropping and we're seeing the 55-56 degree mark daily. This is great a water temperature to target surface dwellers this time of the year. 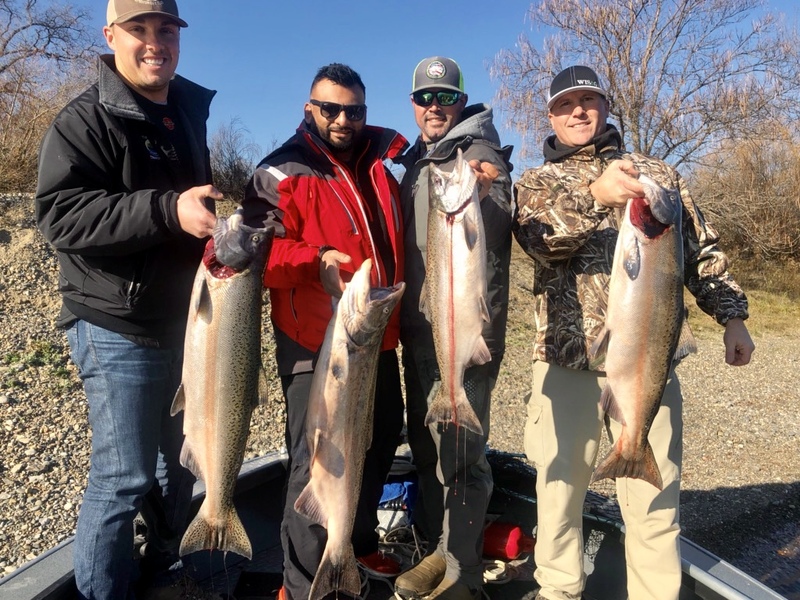 I'm fishing the next few days and will have more reports coming in as I work through the winter trout season on Shasta Lake.